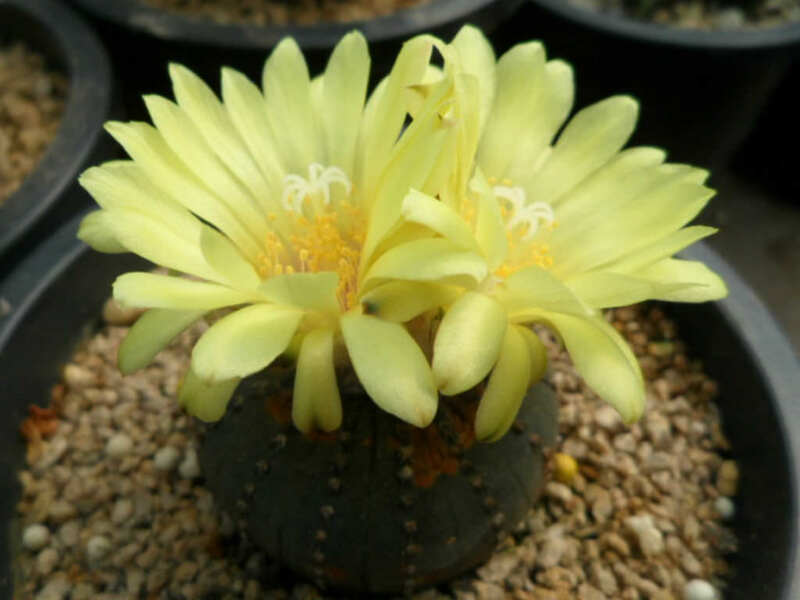 Frailea castanea is a very small cactus and one of the most fascinating cacti. The stem is disk like, up to 2 inches (5 cm) in diameter, flattened to globose and chocolate brown or dark reddish-green with 8 to 15 flat ribs. 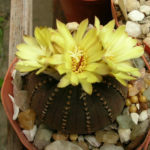 Flowers are yellow, up to 1.6 inches (4 cm) in diameter. 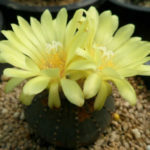 Frailea perform best in full sun but be cautious about placing them too close to a southern window where the flesh can burn. 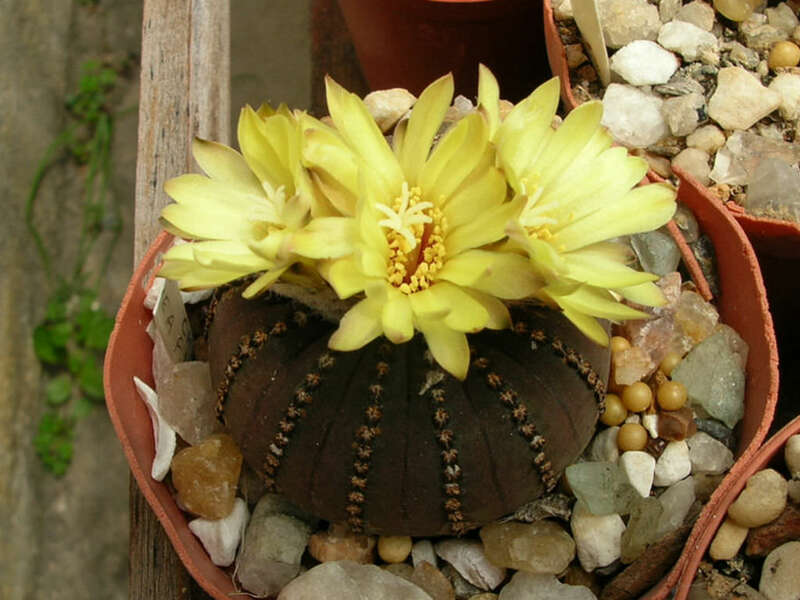 The tone of the cactus is darkest when it enjoys a full day of sunlight. This is a short lived plant that rarely exceeds 15 years before it dies back. 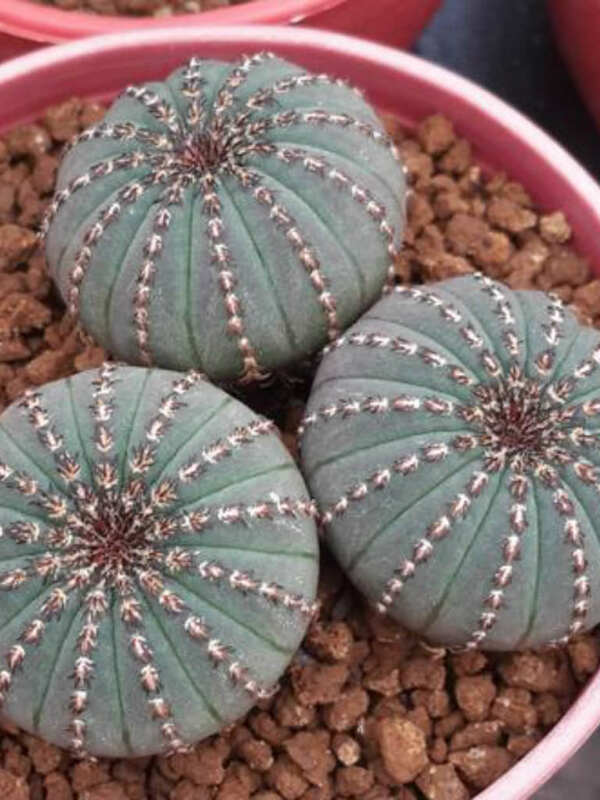 Here’s a fun bit of Frailea information. If plants are growing where no water is available, they have the interesting ability to hide in the soil. Don’t be shocked if your plant seems to have disappeared, as it is simply retracted under the soil just as it would do in the dry season in its native region. Once sufficient moisture is available, the plant swells and is again visible on the top of the soil. 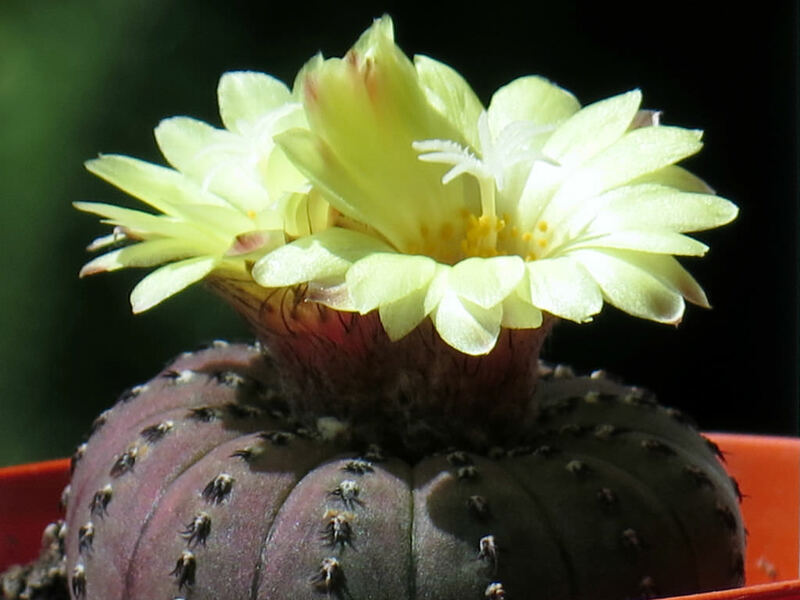 Caring for Frailea is a balancing act between sufficient moisture but periods of soil drying, so water is the biggest challenge in Frailea cactus care. Choose water that is free from heavy minerals. Water well once per week in summer, but in spring and autumn water only once every 3 weeks or when the soil is quite dry to the touch. 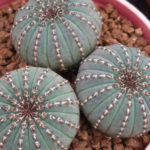 The plant experiences no growth in winter and does not need water… – See more at: How to Grow and Care for Frailea.